In a nursery, it is not rare that there is more depth in the room than wall width. 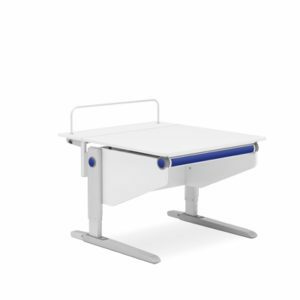 When it comes to satisfying your child’s changing footprint, moll has designed a solution that takes both circumstances into account. 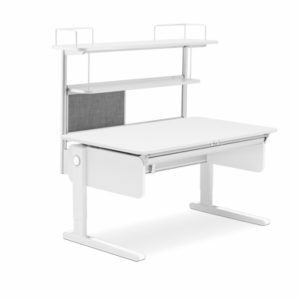 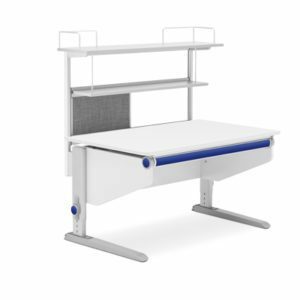 Therefore, the minor children’s desk can be extended in depth and additional storage space or work surface can be obtained. 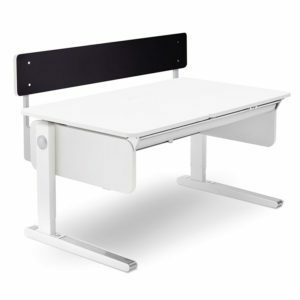 The extensions are easily mounted from the back to the minor children’s desk. 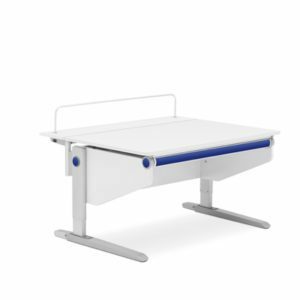 With the Multi-Deck extension, the tabletop is also deep enough to provide enough space for a monitor or screen and to ensure the important distance of at least one arm length between the monitor and the child’s eye.